Blogging can be a whirl wind of information and sometimes finding websites and programmes that can improve your blogging game can seem like a mind field. Where can you get free stock photos from and how can you edit photos without forking out for Photoshop? Fear no more as I share the awesome (and free!) resources I've found on my blogging journey in super easy to digest weekly posts. Who really sits there and reads through a 300+ resources link post? I know I don't. I end up bookmarking them and then never looking back after I've discovered what I was looking for. I do tend to read smaller posts with awesome resources so I thought that's what I'd do! This week I'm talking about graphic design. It's more and more important to have a consistent 'brand' and there's not better place to start than with your graphic design elements. 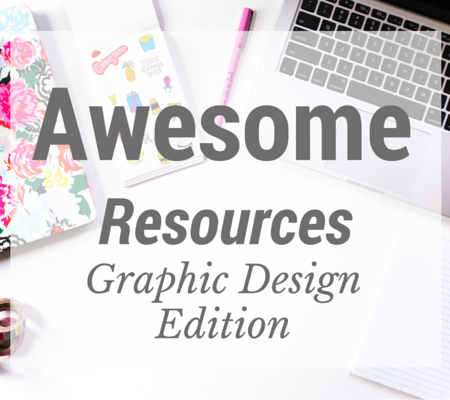 From a blog badge to pre-made templates to ensure your photography supports your theme/brand there's loads of amazing free resources online that you should check out before parting with your cold hard cash. Canva - This awesome free tool lets you create loads of graphics and it even has templates for each social media platform. Creative Market - This site offers loads from fonts to design elements. It also offers loads of great file downloads for Photoshop, it's awesome! Da Font - Thousands of awesome free and buyable fonts that you can download and use. Pic Monkey - An awesome photo editing website that allows you to add graphics, edit and perfect your photography. Font Squirrel - Every single font on this website is free for commercial use. Endless Icons - In need of an icon? This website will have you spoilt for choice. Graphic Burger - This site is amazing! Free commercial and private use from product mock ups to fonts, photos and logo designs! Pixlr - I adore this site. I edit all my photos on it! From cropping, editing and everything in between, you can even download a version of it for quick offline editing! What design resources do you use? Keep an eye out for my updated Stock Photos blog post, I'll be sharing loads more free resources!